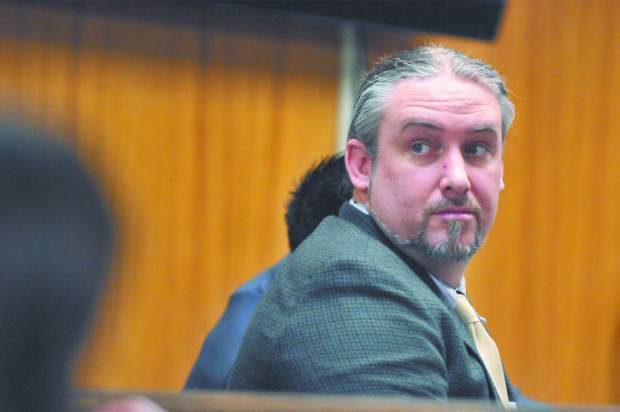 Prosecutors in the murder case of Jason Schuller intend to argue that a psychological expert hired by them should examine Schuller and testify in the sanity portion of his upcoming trial. Assistant District Attorney Chris Walsh said Friday in Nevada County Superior Court that he wants to hire Los Angeles-based Dr. Kris Mohandie, who’s appeared on TV shows like “Paradise Hotel,” “Major Crimes” and “Most Evil.” If hired, Mohandie would evaluate Schuller and testify in his case. Deputy Public Defender Micah Pierce said he wanted Walsh to file a motion requesting the hire, which would then give him a chance to formally object. “The law’s pretty clear on it, that we’re entitled to it,” Walsh said after the hearing. Walsh that day filed a motion asking Judge Candace Heidelberger to order the psychological testing. She gave Pierce until Jan. 26 to object. The sanity portion of Schuller’s trial remains scheduled for March 6. A Nevada County jury last month convicted Schuller, 36, of first-degree murder. During the trial it heard from two court-appointed psychological experts and one from the defense. However, it could reach no decision about Schuller’s sanity at the time he fatally shot William Tackett, 67. That indecision requires a new trial, which will focus on whether Schuller, who’s pleaded not guilty by reason of insanity, was legally insane on March 20, 2016, when he killed Tackett at his Grass Valley home. Jurors will decide on Schuller’s sanity only. He remains convicted of murder.